A new Eddy Arnold tribute album will be released in time for what would have been his 95th birthday. Cheetah Chrome (originally of punk band The Dead Boys) and author/music historian/Belmont University professor Don Cusic produced the album You Don’t Know Me: Rediscovering Eddy Arnold. It will be released May 14 on Plowboy Records. Arnold would have turned 95 on May 15. Contributing to the project are Chuck Mead, Melinda Doolittle, Pete Mroz, Frank Black, Mandy Barnett, Bebe Buell, Alejandro Escovedo, Lambchop, Jason Isbell, Chris Scruggs, Pokey LaFarge, Bobby Bare Jr., Peter Noone, Jason Ringenberg, Sylvain Sylvain, The Bluefields, Cheetah Chrome, Drivin’ n Cryin’ and Mary Gauthier. Many of the tracks were recorded at the Sound Emporium studio, and many others were recorded at famed RCA Studio B, where Arnold often recorded. See a video here. Known the world over as The Tennessee Plowboy, Eddy Arnold is a member of the Country Music Hall of Fame and the Grand Ole Opry. He released over 100 albums and placed 147 songs on the Billboard country music charts, including 28 No. 1 hits. 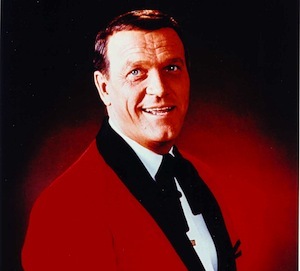 He had at least one charting single for the past seven straight decades, hosted The Eddy Arnold Show for CBS, guest-hosted Johnny Carson’s Tonight Show and starred in two films. Plowboy’s founders are Cusic, Chrome, and Arnold’s grandson and musician Shannon Pollard. You Don’t Know Me is the label’s second full-length release, following Bobby Bare’s Darker Than Light. “Make The World Go Away” – Bobby Bare Jr.